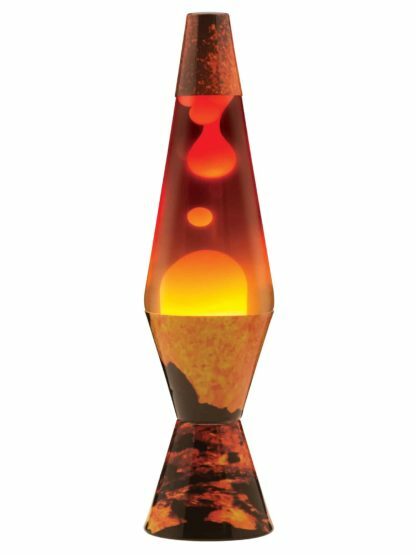 As the white lava passes through the multi-colored ColormaxTM glass globe like the real flow of molten lava, it absorbs the different colors and changes tone. 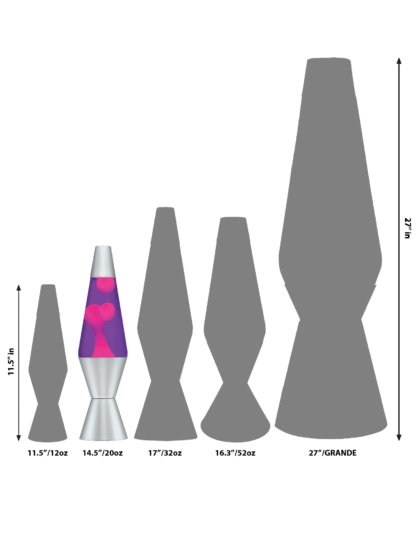 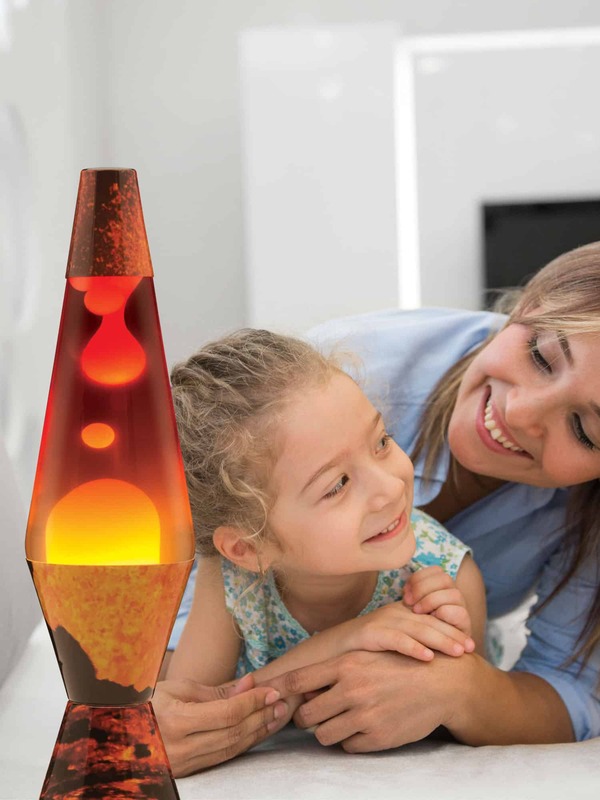 The hot volcano graphics on the base and cap match perfectly with the hot lava inside the lamp. 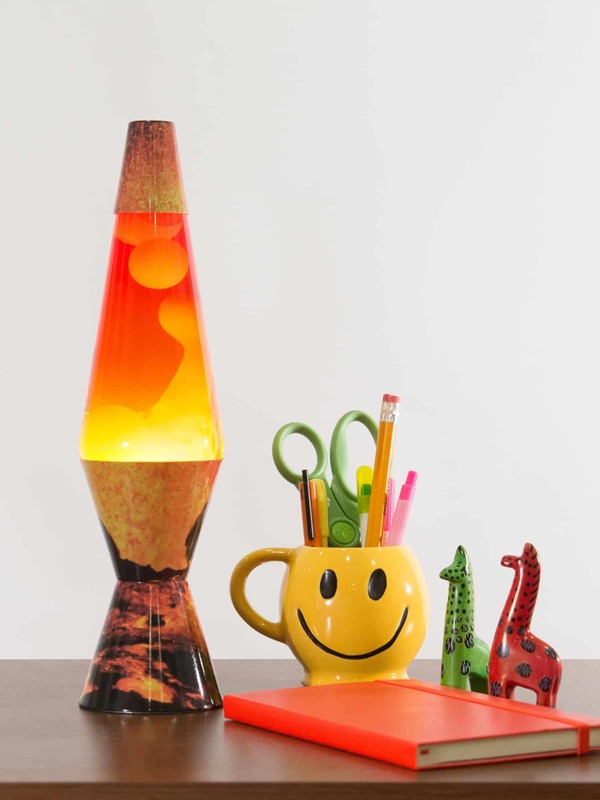 It’s like having a mini volcano in your room (without the dangers of molten lava). 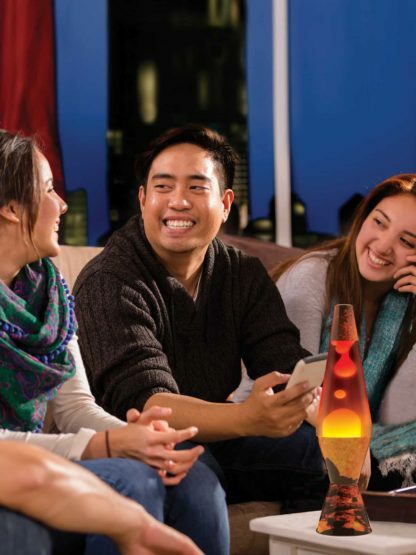 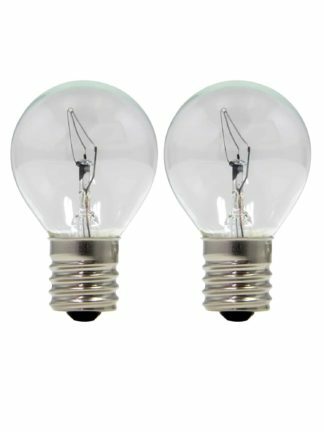 Watch the relaxing motion and enjoy this hot version of a timeless LAVA® lamp.